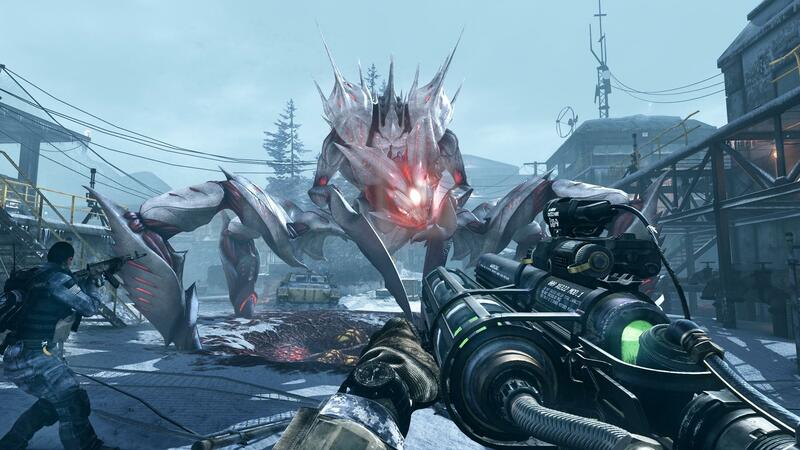 The Call of Duty: Ghosts – Onslaught DLC brings with it four new competitive multiplayer maps, a new weapon, and a new chapter to the co-op mode, Extinction. If you are looking for tips on how to stay upright for as long as possible in the multiplayer maps, we have you covered. For some tips on how to make it through the newest chapter of Extinction “Nightfall,” read on. This guide is meant to help you get started. For tips on the first episode, “Point of Contact,” check it out here. We’ll update it in the future, and if you have tips of your own you’d like to pass on, please feel free to let us know in the comments. The first change between Nightfall and Point of Contact you’ll need to embrace is the inclusion of lockers and locker keys. In each area there are a random number of locker keys spread throughout the map. These keys are found in boxes, and are clearly marked. You may find four, you may find none. While the keys change location, the lockers do not. There are two lockers in the first section, four in the second, and 14 in the third. The first set of lockers are found behind a hive on the top of the building on the left from where you start. Once you destroy the hive, you can walk into the control room where you’ll find two lockers, searchable boxes, and an LMG for $3,000. The second lockers are in the middle of the second area blocked behind a hive, with four lockers inside as well as a Chain LMG for $3,000. The third area is silly with lockers. You can’t miss them, they’re everywhere. The lockers contain random, customized weapons. 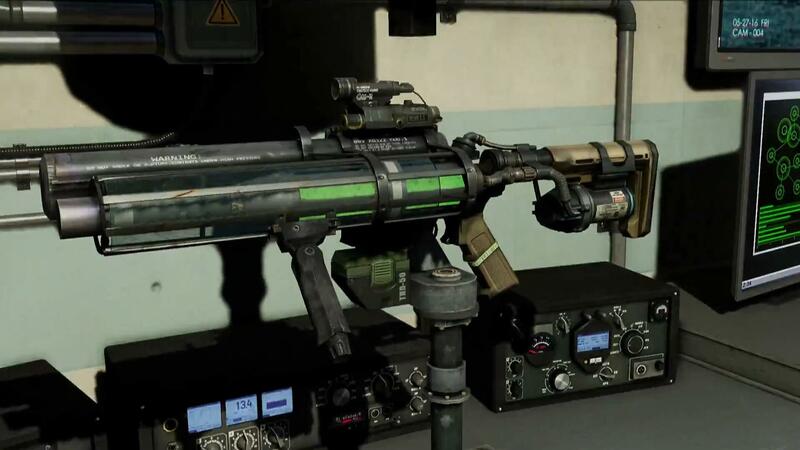 They can range from SMGs with red dots to LMGs with a grip and sight, and everything in between. You never know. If the weapon doesn’t work for you, don’t hesitate to buy a gun you prefer – just because a weapon is customized doesn’t instantly make it your best choice. Alternately, you can always open the locker and see what’s there, then let a teammate take it. When you first start a match, start the drill on a hive – any hive you like, except for the hive blocking the lockers – but do not open any boxes. The first hive is usually easy enough that you can make it through with knives and pistols, so use this to your advantage and earn some money. Head to the hive on top of the building next, the one blocking the lockers. Do the same thing here – start the drill before opening any boxes. Once you clear this hive, which should still be easy enough to get through with minimal effort, clear all enemies and then take your time to look around – but first if there is a gun you want to buy, buy it then. The $1,500 Maverick and the $3,000 LMG in the locker room are especially effective. The reason to avoid opening boxes to this point is that once you have obtained a few weapons, you will then see a big uptick in the number of weapon attachments you find. As long as one or two people have weapons, the attachments will appear, so this is a good time to look for locker keys as well. You may find something that makes an already customized weapon from the locker even better, or if the random selection disappoints you, you may be able to make your own custom weapon. This should also go without saying, but when attachments are found let your teammates know. Not every attachment works for every weapon, so determine what’s best for you team. When you get to the third area, keep an eye out for the Viper X, a prototype weapon built with alien tech that acts like a grenade launcher. You’ll find it behind a hive-covered door in the third area, sitting on a pedestal. Every teammate can take one, and it does not replace your primary weapon. It has limited ammo though, so use it sparingly – ideally when your back is against the wall. You will find more ammo, but don’t use it as a primary weapon. 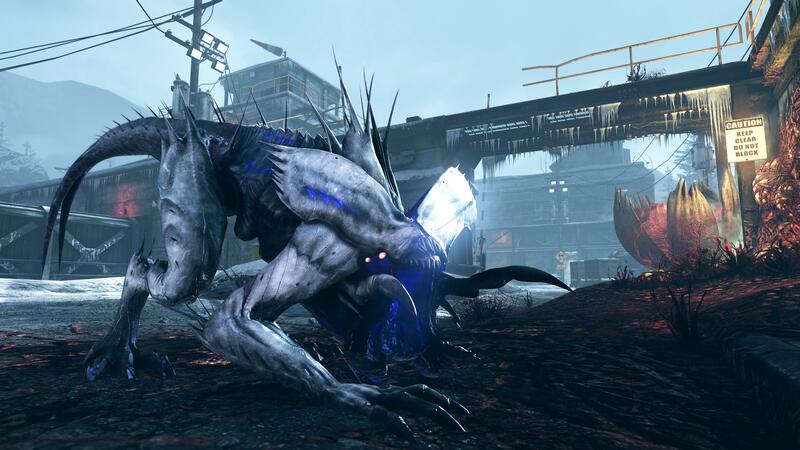 The Breeder is Nightfall’s “Big Bad.” It appears at the end of each section, and you need to defeat it to move past. Unlike Point of Contact where you had air support though, you’re on your own for this boss. So plan accordingly. Each wave has its own challenges just like in Point of Contact. These challenges are random, but thanks to the promise of a skill point for completing them they are always worth attempting. Depending on the challenge when the Breeder first appears, your strategy should change. If you are asked to destroy the Breeder’s eggs, work as a team, call them out, and drop everything to destroy them when the Breeder fires them. Keep an eye on the Breeder’s health as well – you can kill it before it launches all the eggs, so be patient. If you are asked to destroy the Breeder in 90 seconds, there are a few ways to do this. First, the best position is on the roof by the lockers. Activate the fire trap to cover your back, and if you have a manual or automated turret, place it under the catwalk – it will offer some protection from the red mist. Have two others purchase the mounted turrets (one is by the locker, the other is on the far platform). LMGs are useful, but not required. Coordinate your money so the fire trap is always active and the two turrets are constantly firing – once they run out of ammo, repurchase them immediately, or have someone with more cash do so. If the red mist is giving you problems, you may want to have one person, ideally the medic, stationed in the locker room. Have the wounded limp to him if possible. With enough firepower, the boss should go down quickly and retreat. The Breeder will appear in the second area as well, but you don’t need to fight it. Save your ammo and allow it to clear a path to the next area for you. During the final confrontation, the Breeder will be out in the open. Constantly move, but don’t stray too far from your teammates. If you do and are downed, crawl to cover and wait for help. There really is no “trick” to this, it just requires patience. When the Breeder launches pods, giant flower-like bulbs that look like hives, destroy them as soon as possible. When it drops down stunned, run up to it and put in as much damage as possible. If you have a powerful automated sentry, drop it right in front of the Breeder for huge amounts of damage, then pick it up when the Breeder jumps back up and put it somewhere to take care of random enemies. Use your Venom-X freely against the enemies as well – there will be Venom ammo dropped. With a little bit of teamwork, the Breeder will eventually fall and the game will end, treating you to a cutscene. Teamwork is always a vital factor for survival in Extinction, and Nightfall puts a greater emphasis on it than Point of Contact. The enemies are tougher, and the items need to be shared. Seriously, if someone runs around and begins grabbing everything, you may as well back out. The odds of you making it to the end are low if you end up with even one “lone wolf” player. Once a hive is destroyed, leave the drill and make sure all the enemies have been destroyed. They may continue to come for a minute or so, but eventually you can wipe them out and have some breathing room. Between matches take your time to look around, drop ammo, armor, whatever you need. Use the time to prepare for the next round and talk strategy. The level of difficulty ratchets up quicker in Nightfall than in Point of Contact. By the time you’ve destroyed two hives, you’ll be facing powerful enemies like scorpions and a phantom. You’ll need enhanced ammunition, and you’ll need to keep continually put it down for teammates. Having multiple people work on leveling up ammo can be useful, and explosive and incendiary are always useful. Armor-piercing is handy at times (especially against rhinos), but the others more effective throughout. If you aren’t talking with your teammates, mixing up your classes, and strategizing who should drop what and when, you’ll end up with one or more people that have less money and won’t be able to help out as a result. This can be the difference between surviving or not. Although it’s random, definitely grab as many hypno knives as you can. One of the new enemies, the Phantom, can be a powerful ally to your cause with its help. The Phantom is tough and it can teleport, but if you hit it with the knife as soon as one appears, you’ll not only have a new, AI-controlled teammate, you’ll also have one less cryptid to deal with. The Phantom should first appear during the third hive. Once you have it on your team, try to protect it until you get to the Breeder. If it is still alive and kicking, it can help keep smaller enemies off your back while you handle the boss and complete the challenge. Extinction is not really designed to be played alone, but solo play is an excellent way to gain a huge amount of experience quickly. Nightfall is a tough map, and you’ll need a few levels under your belt to unlock some of the more powerful perks you’ll need to survive. If you played Point of Contact regularly, you probably have this covered. If not, and if you don’t want to grind through the Nightfall levels with others, play the game solo. You won’t make it far, but you can earn a lot of points quickly.